The Mego Planet of the Apes action figure line was first introduced in 1974 as a result of a series of successful movie films. 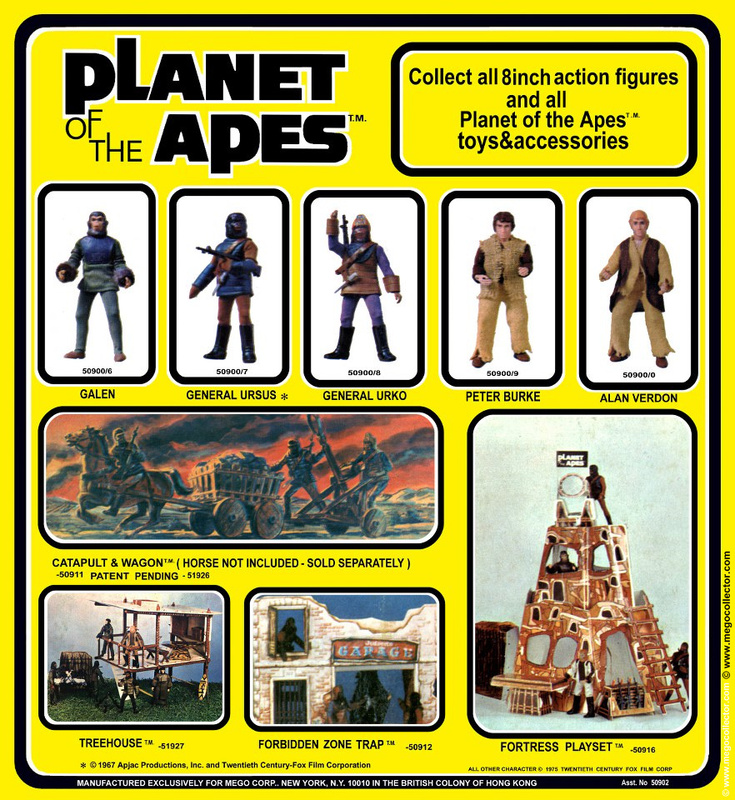 The action figure line was originally released on a larger card stock, then later reduced in size. 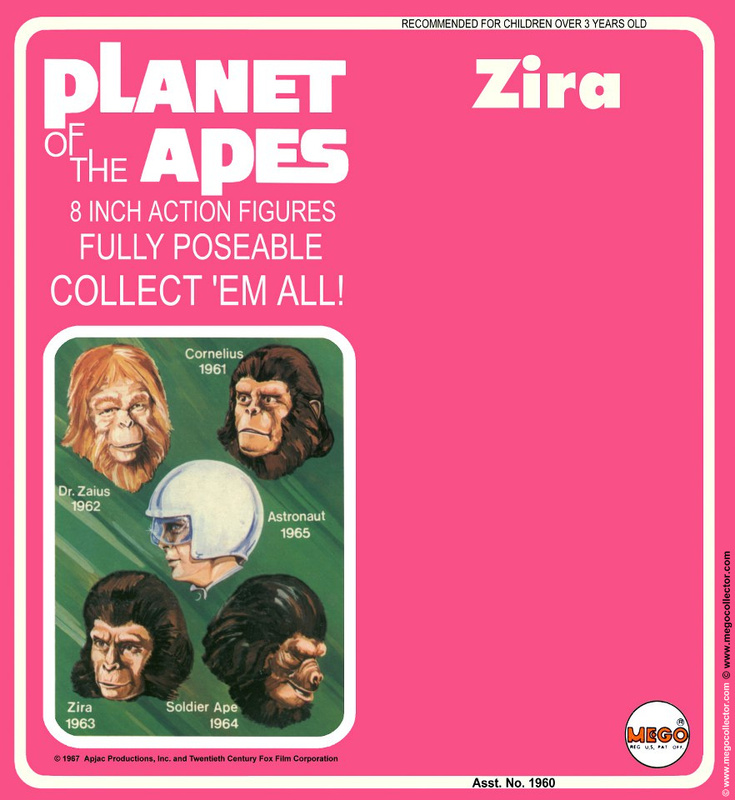 Other variations include, blister shapes, whether or not a booklet was included featuring the Mego action figure lines, and packaging variations which included copyright placement. 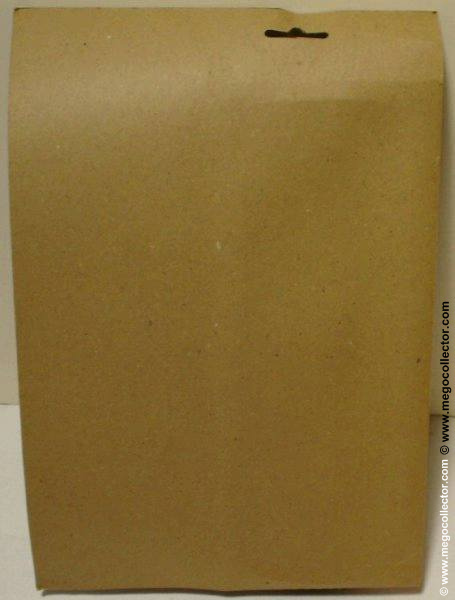 In the late 1990’s, there was a website that may have only had one page to it. 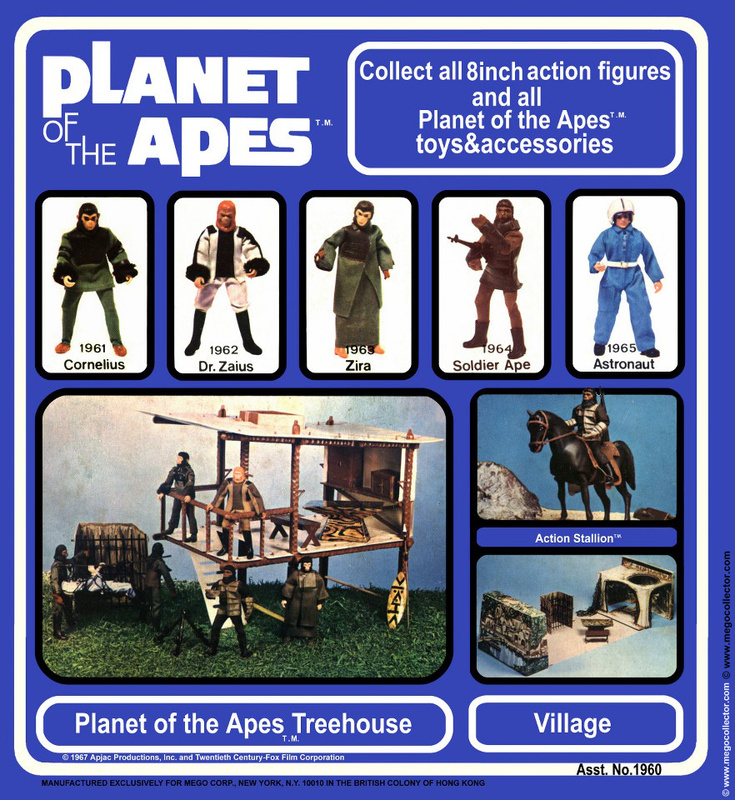 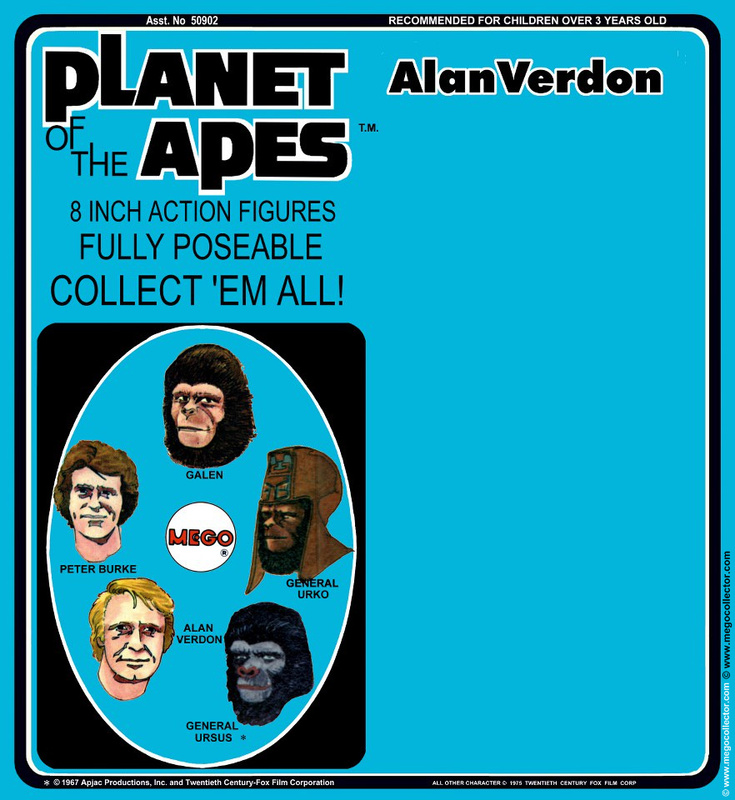 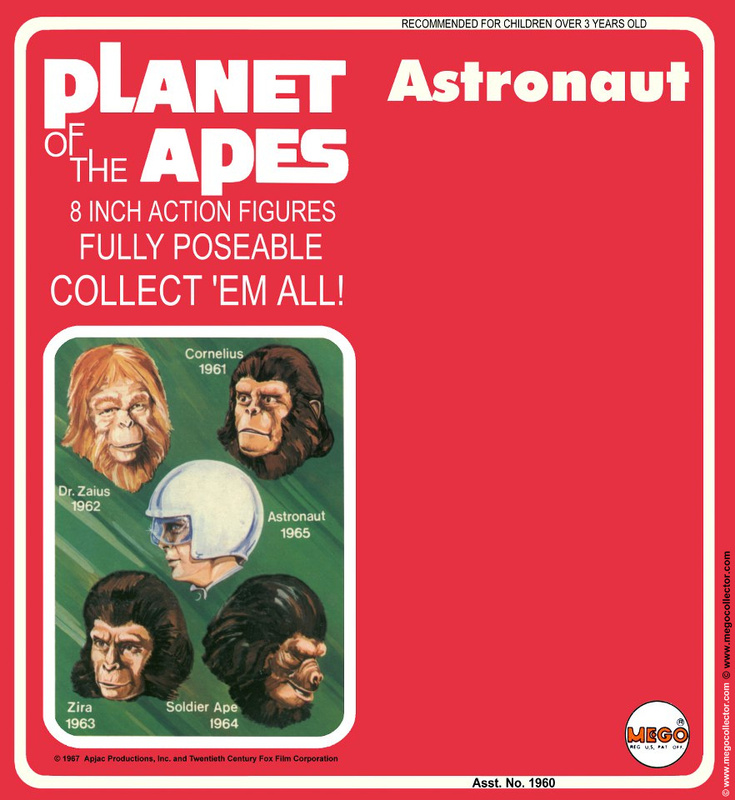 That page, however, included reworked artwork for the Mego Planet of the Apes action figure lines. The front and backs of the cards for both the movies and television series were all there to be downloaded and enjoyed by all. I am not an expert in this line, however, a more refined look into these images will reveal that they are not perfect. 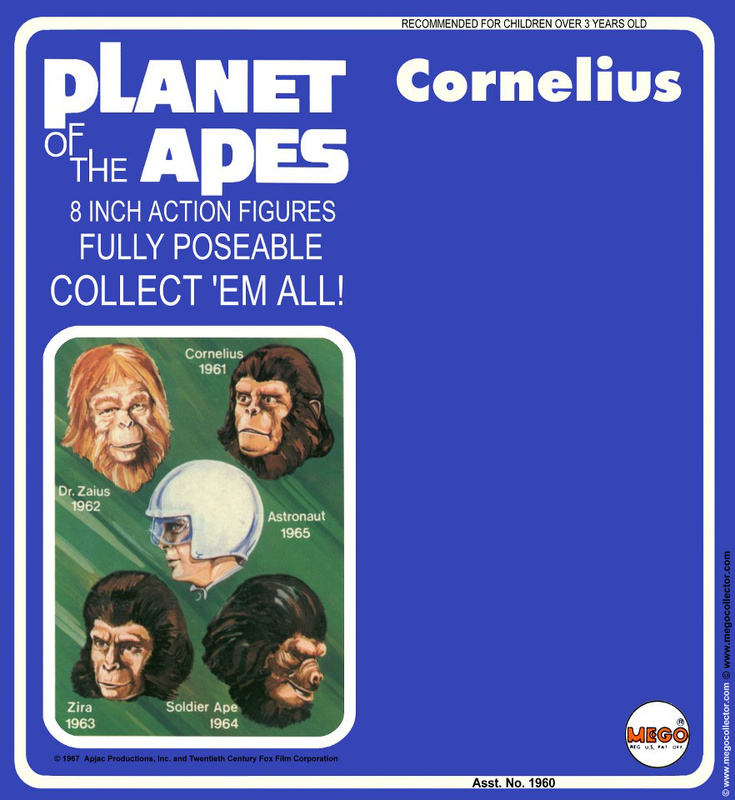 An example of this is the rounding of the corners around the larger images on the back of the cards is a different angle. Other than that, they display very well. Click on each picture, to display a larger view, then on that view, click on Full size. An 882×960 size image will display. 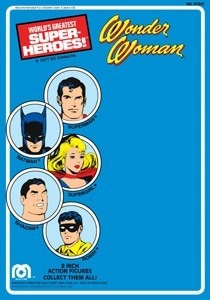 Then save the image and print it. Enjoy. 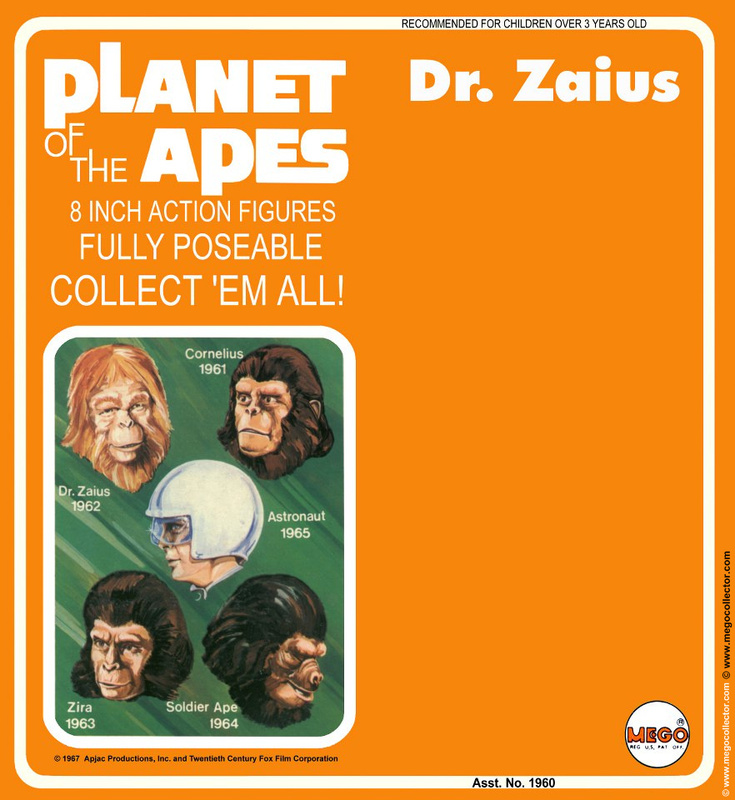 Adapted from the television series.